Do you love Pinterest as much as I do? I use it to plan my meals for the week and to get inspired for my sewing projects, home improvement projects and all other things creative! We're looking to spruce up our Pinterest page, so we're having a contest to find 1-2 guest pinners that will have dedicated boards to post inspiration and creations to. 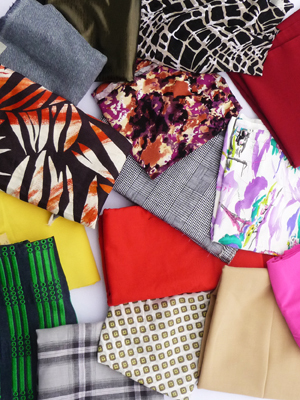 Between March 1-15, we asked our customers to purchase a mystery fabric bundle. Then from the time you get the bundle, till April 1st, make items with everything in your bundle. Submit photos of your creations to info.fabricmart@gmail.com by April 1 and we will be judging for our favorites. Judging will be by popular vote and a panel of Fabric Mart employees, including myself (Julie). So if you purchased a bundle between March 1-15, get sewing and submit your photos! All the fabric must be used, but you don't have to use it all in the same garment. 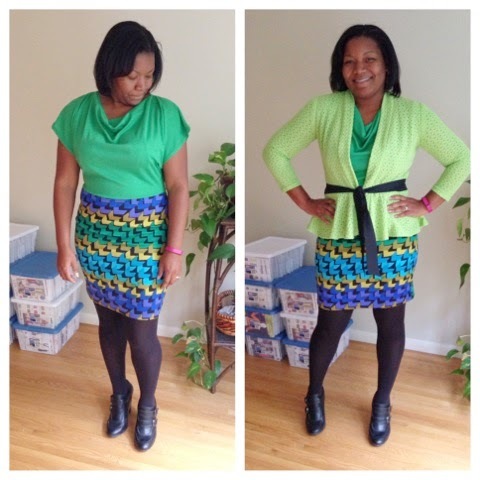 You can make as many garments as it takes to use each piece from your bundle. The winner will be announced on April 7th. And guess what? Just for participating, you will receive a $15 gift certificate! You must submit photos of your finished garments and have proof that you purchased a mystery bundle from us during the time period listed above. See details on our website. If you have any questions, email info.fabricmart@gmail.com. Click here to see all of the contestant's bundle creations from season 1. Click here to see all of the contestant's bundle creations from season 2. Not interested in the contest but still love Pinterest? Share your creations directly with us on our "Made from Our Fabric" Board. This board has dozens of customer creations using our fabric. To add your creation to this board, send us an email at info.fabricmart@gmail.com and we will add you to our group board. Inspired yet? I hope you will be joining in the fun! I'm working on my last piece from the bundle. Looking forward to seeing what everyone makes!